Bridging Industry 4.0 and Circular Economy: A new research agenda for Finland? Emerging academic research concerns how the principles, practices, and enabling technologies of Industry 4.0 might unlock the potentials of Circular Economy (CE) and sustainable manufacturing (Jabbour et al., 2018; Stock et al., 2018). Digitalisation (Ellen Macarthur Foundation, 2016; Antikainen et al., 2018) and the use of Big Data (Hazen et al., 2016; Nobre & Tavares, 2017; Jabbour et al., 2017) are seen as key enablers for increased sustainability and for the implementation of a circular economy. Technology is also a necessary enabler of a move towards Product-Service Systems (Tukker, 2015; Antikainen et al., 2018). As Moreno & Charnley (2016) notes the fundamental drivers behind Circular Economy and Industry 4.0 overlap. It is an obvious fact that the combination of Circular Economy and Industry 4.0 leads us towards the Green Economy vision. However, research output integrating the two important fields is still very scarce and plenty of unexplored research areas remain. Tseng et al. (2018) deliver a telling example of the hitherto missing research: While separate queries in Scopus using “Industry 4.0” and “Circular Economy” yields 4060 and 2452 results respectively, a combined search using both “Industry 4.0” and “Circular Economy” as keywords provide only three results (all published in 2017). Combined searches for “Circular Economy” and ´digit*´ (i.e. digital, digitalisation etc.) provide similarly limited results (Antikainen et al., 2018). Stock et al. (2018) make the point even broader, as they conclude, “there are rarely any sustainability assessments for Industry 4.0 available”. All transition paths are not automatically leading us to sustainable development and greener infrastructures, which typically mean sustainable land use, widely adopted green consumption lifestyles and broad industrial use of nature saving technologies. If we – ‘we’ as researchers, as Finland, as the international society – should harness the potential synergies of these two emerging business systems, and strive for a transition to a greener economy, there is therefore plenty of work ahead. It seems likely though that solving this integration puzzle, however, will also bring major (business) opportunities and a competitive advantage for the future. Industry 4.0 and a new sustainability optimism? Stock et al. 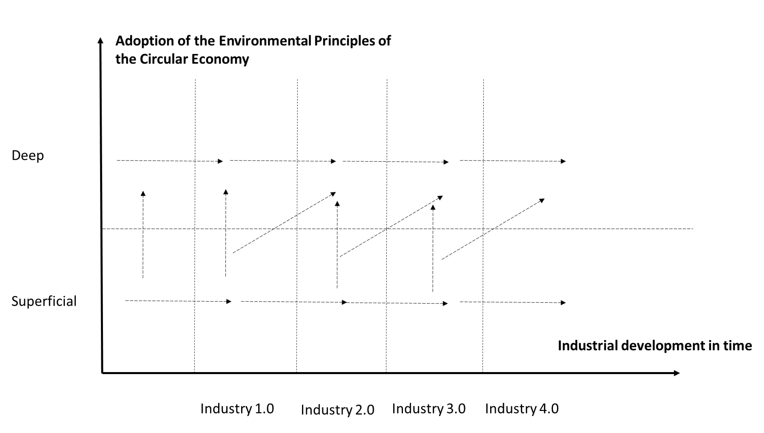 (2018) note that most literature linking sustainability and Industry 4.0 do so with a basic tenor of optimism. Opportunities for increased sustainability by using novel technological opportunities in combinations with new business models take centre stage. Improved traceability of smart products through the entire supply chain and during the products’ use phase allow manufacturers continuously to optimize the performance of both product and production, which may deliver a more efficient use of resources. For industrial practitioners sustainability, environmental, and social opportunities is also a noted driver for implementation of Industry 4.0 (Müller et al., 2018). Highlighting what is at stake for a green economy transition, Erol (2016) even asks thought-provokingly if Industry 4.0 is the very last chance for a truly sustainable production? 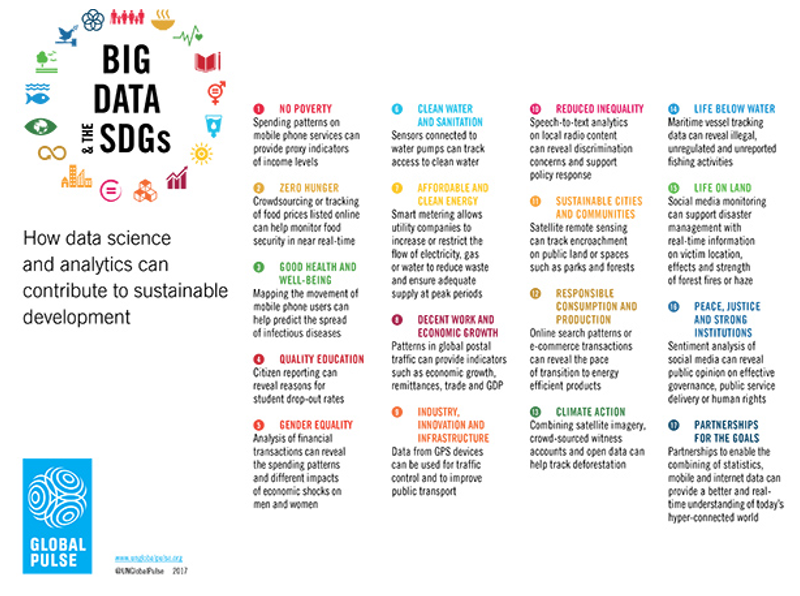 Notably, the United Nations also talks of ‘Big Data for Sustainable Development’, and how “new sources of data, new technologies, and new analytical approaches, if applied responsively, can enable more agile, efficient and evidence-based decision-making and can better measure progress on the Sustainable Development Goals (SDGs) in a way that is both inclusive and fair”. Industry 4.0 and its related technologies may facilitate more sustainable production, but sustainability is not an endogenous feature of Industry 4.0. Figure 1. Environmental threats and benefits of distributed production (e.g. decentralized 3D-printing). Source: Kohtala, 2015. Interconnectivity and continuous massive amounts of data also come with an environmental price: In Denmark for example, the government expects that international data centres will take up 20% of the current national electricity consumption by 2030. The global electricity consumption for mining cryptocurrency using Blockchain-technology already today exceeds the current national electricity consumption of Finland significantly, according to consumption estimates in a recent issue of The Economist (2018). The challenge then is (simultaneously!) to build a sustainable Industry 4.0 and to use Industry 4.0 to build sustainability. In other words, society must: (1) Ensure to the widest extent possible sustainability and circular economy as a feature in the ecosystem of Industry 4.0-enabling technologies, (2) Explore and exploit the enabling potential of Industry 4.0 for building more sustainable business models and production systems. These challenges are illustrated in figure 2. Figure 2. Circular Economy for Industry 4.0 and Industry 4.0 for Circular Economy. A new research agenda for Finland? Finland is well poised to be an international leader in the bridging of Industry 4.0 and Circular Economy. Finland is already among the global drivers of Circular Economy. It is a stated objective of the current government to make Finland a “forerunner in the circular economy by 2025”. In addition, Finland is one of the most digitalised countries of the world, and a world-leader in many areas related to Industry 4.0. Our current project – Manufacturing 4.0 – aims at translating this into a success story for the general manufacturing industry of Finland. It would seem natural then that Finland should also take the lead in bridging Industry 4.0 with Circular Economy. This could secure long-term competitive advantages for Finnish industry and simultaneously improve the local and global environment. The countries, which are able to integrate Industry 4.0 approach to the principles of the Circular Economy, are the probably forerunners of Industry 4.0 revolution. However, as we can see above, the list of challenges in Industry 4.0 transformation is not short. We know also that many economic activities in many countries are stuck in Industry 1.0-3.0 phases. This means that the Industry 4.0 approach with the Circular Economy approach does not solve all the sustainability problems of globalized world economy. However, remaining to Industry 1.0-3.0 models can also be a highly risky “project” for the long-run sustainability of world economy. Greener economic structures can be developed with Industry 4.0 technologies. We know that Industry 1.0-3.0 stages of development have not yet led us to needed sustainability levels, because climate change and other environmental problems are still far from solved. In Fig 3 we present a scenario roadmap of Industry 4.0 and circular economy development. 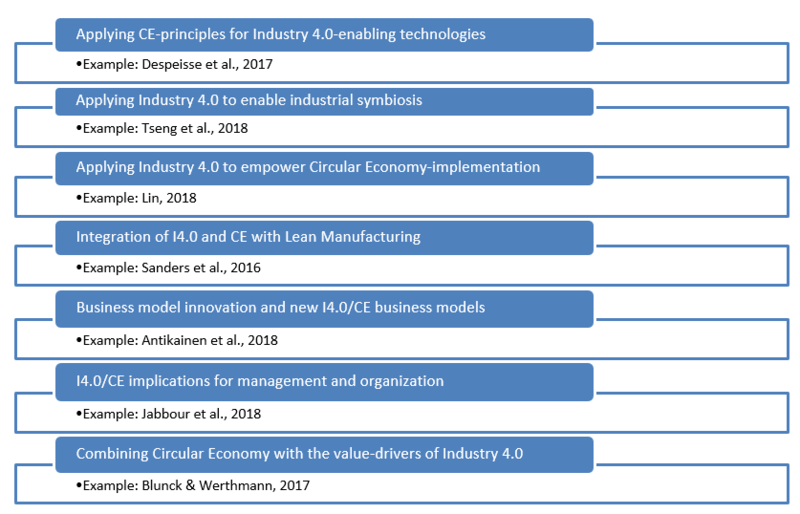 This scenario roadmap shows that in the process of Industry 4.0 development, it is not enough to change Industry 4.0 structures to meet the deep requirements of circular economy. Figure 3. Scenario roadmap of Industry 4.0 and the Circular Economy. Previous old phases of Industry 1.0, Industry 2.0 and Industry 3.0 require attention concerning the adoption of environmental principles of the Circular Economy. We underline that preconditions of Industry 1.0-3.0 are really pre-conditions for Industry 4.0, but also that the simultaneous transformation towards Industry 4.0 and Circular Economy requires both attention and multiple testing phases. From this perspective we can say: “Let´s try it – let´s pilot it”. Note: Authors thank for Try Out! and Manufacturing 4.0 projects for financial support. The recent July 2018-issue of the highly influential futures studies journal Technological Forecasting & Social Change contained a special section dedicated to Industry 4.0. The issue is relevant to an increased understanding of the current trends and transformations of the manufacturing sector. Finland Futures Research Centre works with this theme in the project Manufacturing 4.0 supported by Academy of Finland’s Strategic Research Council. Discussion about Industry 4.0 is part of larger technological transformation process (Kaivo-oja et al. 2017). “Industry 4.0” was first coined at the Hannover Fair in 2011, seven years ago. All over the world, the term “Industry 4.0” has drawn great public attention from practitioners, academics, government officials and politicians. Some scientist as Reischauer (2018) see Industry 4.0 as policy-driven discourse to institutionalise particular innovation systems in manufacturing. For use in the MFG4.0-project, and due to its general relevance, this blog post contains a summarizing review of the TFSC-special issue combined with other recent research on Industry 4.0. We hope this blog will be informative both to those already working with these themes and to those curious about the field. Awareness about Industry 4.0-strategy is an important development driver for both progressive SMEs and large corporations. Discussion in the TFSC Special Issues of Industry 4.0 underlines the idea that Industry 4.0 challenges do not hit only large corporations, and that the role of progressive SMEs and start-ups needs more scientific attention in the global Industry 4.0-process. Orchestration of innovation eco-systems requires broad networks and new dynamic capabilities in organizations. Compared to previous Industry 1.0-3.0 revolutions Industry 4.0 revolution will include a novel and global dynamic element: The BRICS-countries will be now more active players in Industry 4.0 transformations than these countries were in previous industrial transformations. Especially the role of China in Industry 4.0-era will be a big political and economic issue (see Kaivo-oja & Lauraeus 2017a, 2017b). Industry 1.0 phase was founded on mechanisation, Industry 2.0 phase was based on electricity and Industry 3.0 phase was founded on information technology (IT) to human manufacturing. New Industry 4.0 era is expected to be founded on Cyber-Physical Systems (CPS) and the Internet of Things (IOT). Other key technologies are Cloud computing, Big Data analytics and Extended ICT. The expected changes will lead to new integrated systems, where sensors, actuators, machines, robots, conveyors, etc. are connected to and exchange information automatically. Factories are expected to become conscious and intelligent enough to predict and maintain the machines and control the production process. Business models of Industry 4.0 imply complete communication network(s) between various companies, factories, suppliers, logistics, resources and customers. This kind of highly integrated and transparent industrial approach probably allows more efficient circular economy in the future (see de Sousa Jabbor 2018). Both smart production and smart consumption are key benefits of Industry 4.0 approach. Industry 4.0 includes a new research agenda for sustainable business models, business model innovation and re-organization process of old supply chains of companies. Lean Industry 4.0 is expected to be a key challenge for SMEs and corporations. From this technology foresight analysis perspective, the reported technology roadmap in the computer and electronic product manufacturing industry is highly relevant reading for Industry 4.0 policy discussion (Lu & Weng 2018). As noted, the term Industry 4.0 was coined in Germany by a government advisory council at the beginning of this decade. This origin does not seem disputed, but otherwise the definition of Industry 4.0 remains up for debate. It is notable, for example, that all articles in the TFSC-special section provide their own slightly different explanations of the term. One article (Sung, 2018) even argues that the inclusion of “4.0” in the umbrella-term refers to the fourth industrial upheaval post-WW2, while others follow the more widely used definition of 4.0 being the fourth industrial age after the age of steam, the age of electricity and the information age (Müller et al., 2018). While exact definitions differ, common themes in the understanding of Industry 4.0 are easily distinguished. It revolves about new technologies, new digital possibilities, new modes of inter-connectivity etc. Jabbour et al. (2018) captures this by denoting four significant components of Industry 4.0: i. cyber-physical systems, ii. the internet of things, iii. cloud manufacturing, and iv. additive manufacturing. This is very similar to what Xu et al. (2018) recently described as enabling technologies in a comprehensive assessment of Industry 4.0: State of the art and future trends. Figure 1: ‘Components’ and ‘enabling technologies’ in Industry 4.0. Adding to the broader understanding of the concept of Industry 4.0, Müller et al. (2018) provide a qualitatively based examination of how key practitioners, representatives of manufacturing SMEs, perceive the term. This pragmatically highlights those elements of particular interest to manufacturing practitioners, and the empirical results reveal three main dimensions of Industry 4.0: (1) High-grade digitization of processes, most notably manufacturing processes, (2) Smart manufacturing through cyber-physical systems resulting in self-controlled production systems, (3) Inter-company connectivity between suppliers and customers within the value chain. 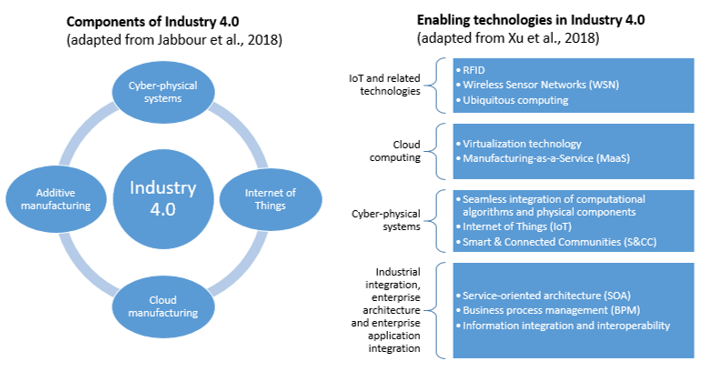 Figure 2: 3 dimensions of Industry 4.0 (adapted from Müller at al., 2018). We believe these three dimensions would be interesting starting points for creating a refined Maturity Model of organizational Industry 4.0-readiness. This has already been attempted, see e.g. Schumacher et al., 2016, but a new model based on these three empirically backed dimensions might be both simpler and more precise. Müller et al. (2018) do not formalize a new maturity model in their article, but they do provide a four-stage model of manufacturing SMEs ranging from those deliberately not engaged (“we’ve always done things like this”) to full-scale adopters of Industry 4.0 (“we want to be the leader in our industry and can only achieve this through Industry 4.0”). Other identified firm categories were preliminary stage planners (“for us Industry 4.0 us imaginable in the next five to ten years”) and Industry 4.0 users (“more efficient usage of machines while achieving more with less employers”). Motivation level and strategic maturity level to be engaged in Industry 4.0 revolution vary much among German SMEs. Probably, in Finland we could get similar results. Through their qualitative interviews (with 68 high-level representatives of manufacturing SMEs) Müller et al. (2018) also importantly provides outlines for various strategies for adopting or not adopting elements of Industry 4.0 within business practices. We expect that this theme – identifying and exemplifying organizational Industry 4.0-strategies – will be a key future research topic for business, innovation and organizational research. Finally, the article illustrates dilemmas of smaller suppliers when the value chain become increasingly inter-connected. Increased transparency is not always in the interest of the minor companies, as pointed out by several informants in the study. This view is supported in a recent survey of UK-manufacturers, where, even if 80% of manufacturers believe that new digital technologies will improve the supply chain relationships up and down, several negative responses with fear of “supply chain bullying” can be found (PwC, 2018). How Industry 4.0-developments affect supply chain relationships and especially affect suppliers might be a particularly pertinent research question in a Finnish context. Three-fourths of Finnish exports are intermediate goods (Ali-Yrkkö, 2017) – a share significantly higher than the EU-average – and changes (positive or negative) to the role of manufacturing supply companies can therefore have effects not only on the individual companies, but perhaps also on the national economy. Jabbour et al. (2018) examine links between Industry 4.0 and environmentally-sustainable manufacturing. Industry 4.0 and sustainability are argued to be two major trends of, and while they individually cannot be considered revolutionary, together then may “change worldwide production systems forever”. The technological possibilities of Industry 4.0 may help unlock the full potential of environmentally-sustainable manufacturing practices. Whether this will happen, the authors note, depend on eleven distinct critical success factors (CSF) further explained in the article. The CSF’s here are not studied empirically, but they provide research propositions for – as explicitly urged by the authors here – further examination in the synergies between two key societal and manufacturing megatrends. How to best harness these synergies should be of utmost importance to academics, policymakers and practitioners working with sustainable manufacturing and sustainable development, and we will likewise hope that the question of integrating sustainability-dimensions will occupy an important part of the Industry 4.0 research- and implementation agenda. This article together with the highly-cited contribution of Stock & Seliger (2016) provide important background material for this work. Like Jabbour et al., Reischauer (2018) and Kim (2018) argue that “Industry 4.0” is not really an industrial revolution. Reischauer argues that, as much as signalling future changes, the particular discourse of “Industry 4.0” serves a policy-driven discourse to institutionalize a distinct now-almost hegemonic idea of innovation systems. Thus, the term itself was developed in the context of a “fluid entanglement of academia, business, and politics”, and the discourse further underpins this entanglement. The discourse hereby both exemplifies and underlines the further need for Triple-Helix Innovation modes (see e.g. Kaivo-oja, 2001, Santonen et al., 2011, Santonen et. al., 2014). It might be illuminating also to see our own MFG4.0 through this critical lens and to remind ourselves that the discourse is neither value- or policy-free. Kim (2018) puts another critical spin on Industry 4.0. Industry 4.0 is a meso revolution needed by capitalism, because capitalism always needs ever-growing markets, and technology is just one arena for the ever-needed expansion of capitalism. Jumping from this critical view, he goes on to analyse the readiness for this particular meso revolution in South Korea, a topic also explored by Sung (2018). Perhaps surprisingly, both authors conclude that South Korea is a bad position to utilise potential opportunities provided by Industry 4.0. Finland, on the other hand, ranks second only to Singapore in a global competitiveness ranking for the fourth industrial revolution (Sung, 2018). This of course provides some ground for optimism regarding the MFG4.0-project and the general ability of Finland to capture new opportunities and benefits. The Special Issue of TFSC also includes also an important methodological paper of Kwon et al. (2018). As we know the generation of new and creative ideas is vital to stimulating innovation, and morphological analysis is one appropriate innovation management method given its objective, impersonal, and systematic nature. In the Big Data-era, we can develop Industry 4.0 strategy on the basis of Big Data files, and the systematic structuring of data becomes vital for success. This methodological case study in the TFSC Special Issue focuses on Wikipedia’s case-specific characteristics using the online database for the development of morphological matrix, which incorporates the data on table of contents, hyperlinks, and categories. This provides interesting results. The feasibility is demonstrated through a case study of drone technology, and the validity and effectiveness was shown based on a comparative analysis with a conventional discussion-based approach. This methodological paper is a milestone study and requires our full scientific attention. Also in the Special Issue, Luo and Triulzi (2018) provide interesting insights about Japanese approach to Industry 4.0. They point out that the architecture of a firm’s network of transactions in its surrounding business ecosystem may affect its innovation performance. A business ecosystem as a transaction network among firms has been a key issue for successful industrial cooperation in Japan. The empirical results of Japanese study indicate that a firm’s participation in inter-firm transaction cycles, instead of sequential transactional relationships, is positively and significantly associated with its innovation performance for vertically integrated firms. Within cycles, vertically integrated firms have better innovation performances than vertically specialized firms. Vertically integrated firms that participate in cycles have the best innovation performances in the Japanese electronics sector. This empirical finding can be very relevant also for European firms and companies. The authors also underline that the organizations focusing on quality improvements and production efficiency improvements can be different organizations. Specialization in these fields may be a critical success factor in a national Industry 4.0 strategy. Only in few special cases, organizations are able to integrate these critical industrial functions in one unified organization. We can conclude that Industry 4.0 transformations need more discussions about Japanese historical Industry 1.0-4.0 know-how. Discussion about Industry 4.0 will surely continue. Manufacturing 4.0 consortium will contribute to this discussion in various ways and via various channels. In April 2018, the Manufacturing 4.0 consortium provided the first ‘situation report’ for the Strategic Research Council. The report is (in Finnish). Cobalt: What the price of a mineral can make us inquire about the future? How can strategic foresight help prepare Finland for a healthy economic future? One element is to detect market movements, which, now and down the line, might affect Finland’s economy and manufacturing. The cobalt market is one such market. The price of cobalt is surging. The price of the mineral has more than quadrupled over the past 26 months from a historic low of 21,750 $/ton in February 2016 to an all time high of 95,250 $/ton in March 2018. On Friday April 13 2018, trading closed at 92,000 $/ton. Fig. 1. Five years trading prices of Cobalt. This price development is remarkable for a number of reasons, and, as this blog post aims to show, it provides us with important questions and links to the global sustainable energy transition, to a healthy and competitive Finnish economy, and to possible geopolitical challenges of the future. We should pay more strategic attention to the monitoring of the global economy from the perspective of the Finnish manufacturing base. In the future we need strategic value mapping systems, of manufacturing, which include (1) independent models of value, (2) specific strategy and technology models and (3) growth models implicit in the life-cycle of the technology underlying the business model of the family of business models. Why is the price of cobalt suddenly surging like it is? Why is the price development of cobalt important for Finland? Why might the cobalt market impose challenges for sustainable transition? Why does the cobalt market have geopolitical implications? How can we assess future implications of this issue? The aim of the post here is not so much to provide answers, but rather to develop insights and key questions for additional research, which we believe would be of interest for the Government, Finnish policymakers, Finnish businesses, industrial stakeholders and academics across a range of fields. We should present a strategic important question: What is the role of Finnish manufacturing in global value creation and production networks? The price of cobalt as a proxy for demand for electric vehicles? The main driver of the dramatic price surge is linked by market participants to rising demand for electric vehicles (EVs) (Financial Times, 2018; The Economist, 2018). In the EV-sector lithium-ion (Li-ion) batteries are the preferred battery technology due to it’s energy density (Zubi et al., 2018), with cobalt used for lithium metal oxides. 75% of the global cobalt consumption is going into the battery sector (Fröhlich et al, 2017). As demand for EV’s increase, so does the demand for batteries, and so does the demand for cobalt. The price of cobalt might therefore be a telling proxy for the general optimism surrounding the business ecosystem of electric vehicles – and the surging price of cobalt can be seen as an indicator that the car and battery industries, at least, are now betting big on EV markets. Of course, this price analysis is not only price indicator trend analysis, we should perform in the context of global economy. However, this is an interesting strategic case example with broader importance. We need to pay more attention to the price monitoring system of strategic resources relevant for the Finnish manufacturing base and economy. Possible research ideas: Market development and global uptake of electric vehicles; linkages between EV sales and global cobalt consumption, the price monitoring system of strategic resources relevant for the Finnish manufacturing base and economy. While a large majority of the cobalt used for refining is imported (thereby possibly limiting profits added by the price surge), the value of the refined cobalt outputs have increased remarkably. If each ton of refined cobalt is worth $70,000 more than two years ago, an annual production of 12,200 tonnes of refined cobalt is worth $850m more. The surging price of cobalt alone therefore by itself lifts Finnish exports by as much as €0,5bn in 2018 compared to 2016. There are current plans of mining for cobalt at Terraframe (formerly Talvivaara) and near Kuusamo, although the developments are not quite without issues (Terraframe, 2017; Yle, 2018; Lapin Kansa, 2018). Through mining and refining of cobalt as well as through a number of other aspects, this growing battery manufacturing value chain might be a key value-producing network for the Finnish economy of the near future. We need proactive industrial and manufacturing policy platform based on private-public governance. One important idea behind this blog post is that we need a more proactive industrial policy in Finland. It has indeed already been noted that Finland is well positioned for this growth market (Aamulehti, 2017; Business Finland, 2017), and this month (April 2018), the Ministry of Economic Affairs launched a new program for Batteries for Finland 2018-2020 in order to strengthen this agenda further (Työ- ja elinkeinoministeriö, 2018). In addition to attracting new international mining investments, the plans aim at generating a higher value part of the battery manufacturing chain. One important strategic aspect of economic trend research is that we can understand that relative advantages are variable dynamic factors. Therefore, they should be constantly monitored on the basis of global economic changes. Of course, prices changes are such factors. Possible research ideas: Scenarios and a strategy architecture for Finnish cobalt mining and refining, Orchestration of the EV battery business ecosystem. Can lack of cobalt hinder a sustainable transition? A sustainable global transition requires new technologies for energy production, transportation, etc. However, these new technologies are dependent on various metals, including cobalt. In 2016 Finnish researchers from VTT and the Geological Survey of Finland assessed this ‘Role of critical metals in the future markets of clean energy technologies’ in a peer-reviewed article (Grandell et al., 2016). Here availability of other metals (e.g. silver) is deemed even more critical, but for cobalt the researchers find that with assumptions of a global clean energy transformation, cumulative demand for cobalt for the period until 2050 can exceed known global resources by almost 200 pct. In other words, positive scenarios for fast climate change action can be challenged by the lack of minerals. If the world transitions with the use of current technologies, there might simply not be enough cobalt available for the job. It is not without reason that a recent published study concluded that “Cobalt, however, is a reason for major concerns in the Li-ion battery sector” (Zubi et al., 2018). Possible research ideas: Critical metals as possible limiting factors for cleantech-technologies; Designing optimal policies for reducing dependence on critical metal; Substitutionality of critical metals in various technological fields. The main supplier of cobalt in the world is the Democratic Republic of Congo (DRC), which supplies more than 50% of the current global production of cobalt (Fröhlich et al., 2017). Having one dominant global supplier entails supply risks, increased by political and economic instability. In 1978, civil unrest in the DRC quickly increased the price of cobalt by 6.5 times (Bailey et al., 2017), the so called “Cobalt Crisis” (Shedd et al., 2017). Depending on the stability and development of the DRC, there might be concerns regarding continuous supply. The second supply-related concern relates to the dominant position of China. A 2015-paper in Energy Policy stated that “Whereas experts in the minerals industry are mostly aware of China’s strong position, many stakeholders in and advocates for renewable technologies are not” (Stegen, 2015). This strong position certainly holds true for cobalt, leading to concerns of what might happen if China corners the cobalt market (The Economist, 2018). The Chinese company China Moly was also in talks to take over Freeport Cobalt’s refinery in Kokkola, but the deal fell through in the summer of 2017 (Reuters, 2018). If there is a global scarcity of certain minerals, and if one nation holds the key to these minerals, it is easy to imagine the availability might have important geopolitical implications (cf. Øverland et al., 2017). Possible research ideas: Security and geopolitical implications of mineral resources for clean energy technologies; black swans and resilience research. The supply of cobalt available for the market will be driven both by the amount of cobalt resources and reserves naturally available, by the amount of cobalt that is recycled, and by the amount of cobalt actually produced. The production supply will be a function of price and profitability, but other issues like social and environmental concerns might also affect production constraints, e.g. in Finnish mining projects. Similarly, demand for cobalt will be a function of the demand for technologies using cobalt, but also shaped by the technical and economic feasibility of using alternative raw materials or using alternative technological solutions (ie. substitutionality). A thorough foresight or technological forecast study should therefore consider each of these variables individually, in the case of Finland or even globally. Given the potentially major role of cobalt for sustainable transition, for global geopolitical concerns or ‘just’ for the economy of Finland, this would however be a very interesting endeavour to pursue. Possible research ideas: Scenarios for global cobalt demand; Scenarios for Finland’s mining industry. This research work has been supported by the Finnish Strategic Research Council [grant number 313395]. The blog text refers to the preliminary foresight and background analyses of the Manufacturing 4.0 project.